It's still raining as I write this....at least some enjoyed an extra pond for a wash!! However, we managed to play the first round of the ‘Summer’ Stableford on Tuesday. Thanks to Lesley who is administering this competition again this year. The results of Round 1 are on the board. On Thursday we also managed to stay dry (or I did!!) and play the Maria Moore Millennium Bowl - this is an Australian rules stableford where you multiply the pairs score. With our ‘Sorrys’ said it was good fun and the winners will be announced at the Spring Meeting on May 10th. 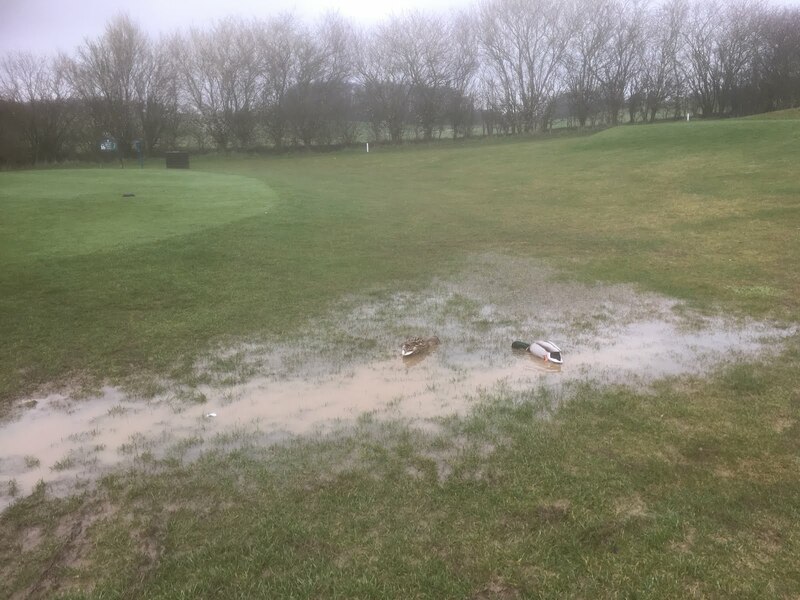 The Pearson Team attempted to play their home match against Porters Park last Wednesday but as Kathy C putted through the puddle on the first hole and couldn’t mark her ball as the marker floated away....the match was abandoned!! However, good luck to Hazel and Margaret on Wednesday this week when they go and play at Sandy Lodge to finish the blizzard abandoned match from last month. Sign up is also on the board for the first Friendly of the year versus Pavenham at home on Friday 27th April. A great opportunity for all to play some pairs match play. Kathy M and Helen are your contacts for all the Friendly matches this season.